Russia has not yet agreed to unconditionally support new sanctions against Tehran as they may backfire on Moscow, the media say. to Russia after he visited Russia “secretly” in September last year, the media say. On February 15 he met with President Dmitry Medvedev and is also expected to meet Prime Minister Vladimir Putin. “At the beginning of the year, Russia is receiving participants of the Middle East conflict one after another,” RBC daily said. However, this time the talks with Netanyahu were focused on the Iranian nuclear program rather than on the Israeli-Palestinian conflict, the daily said. Netanyahu tried to persuade Russian President Dmitry Medvedev that “it is no longer impossible” to hesitate over sanctions against Iran, Kommersant daily noted. The Israeli leader wants Russia to support a new resolution, the draft of which will be sent to the UN Security Council soon, the paper said. “Trying to stress the paramount importance of Moscow’s support for the efforts of the US and its allies, Netanyahu for the first time called Russia not only a friend of Israel, but also a superpower,” the daily noted. Analysts explain Netanyahu’s statements in Moscow by the seriousness of the situation in the Middle East. At the same time, it is still premature to say that Russia “has already agreed to unconditionally support new sanctions against Iran,” Evgeny Satanovsky, president of the Institute of Middle East Studies, told the paper. One should take into account how “risky such a step would be for Russia,” he said. Israel is not only interested in Moscow’s support for the new resolution. “The unsolved issue of deliveries of Russian S-300 surface-to-air missile systems to Iran became the second part of Netanyahu’s Iran agenda,” Kommersant said. According to the paper’s sources, Moscow “may condition non-fulfillment of the contract with Iran with the demand that Israel does not deliver arms to Georgia.” Russia prefers to retain room for maneuver, the paper said. The statement of first deputy director of the Federal Service for Military and Technical Cooperation Aleksandr Fomin about the delayed deal with Tehran has confirmed this, the daily noted. Fomin said on February 15 that “a few technical faults” in S-300 systems for Iran have been detected and they are being fixed now. 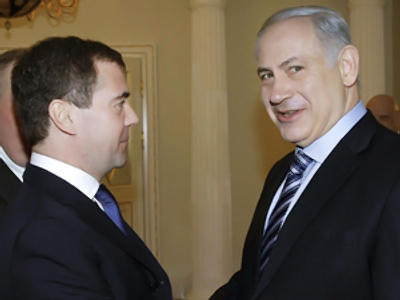 Netanyahu has not received “an unambiguously positive response” from Moscow yet, Gazeta.ru online newspaper said. The part of the explanation is that “Russia is trying to be friends with everyone,” Aleksandr Konovalov, president of the Institute for Strategic Assessment, told the paper. Moreover, Tehran has said that “if Moscow supports the sanctions, it will cease to be Iran’s partner and will become its competitor,” the analyst said. According to him, Iran may really influence, in particular, the gas prices. Israel, for its part, wants to be the only nuclear power in the Middle East to guarantee 100% national security, Konovalov said. He also described as “no more than a myth” the idea that Israel will be doing what “the US tells it.” “If Israel decides that Iran has crossed a line, it will deliver a strike without consulting anyone,” the analyst noted. 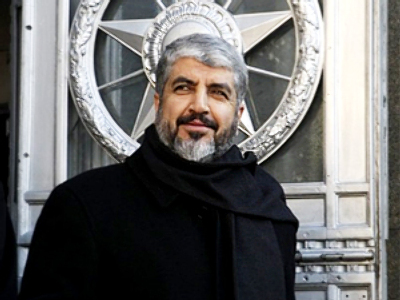 The recent visit to Moscow of Hamas head Khaled Mashal will not affect the negotiations between Israeli and Russian leaders, Konovalov believes. “Yes, Hamas is considered a terrorist organization everywhere, except us, but someone should have the opportunity to contact them,” the analyst said. He did not rule out that Marshal’s visit has been directly linked to Netanyahu’s trip, “to make clear the position of Palestinians,” he added. 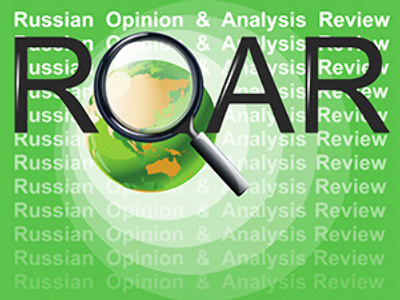 Some Russian analysts think that Moscow is actually making a turn in its policy towards Iran. The probability of Russia’s support for Israel and the US is now very high, RBC daily said. Neither Iran possessing a nuclear bomb, nor it provoking Israel for pre-emptive strike and a new war in the region are in Russia’s interests, the paper added. Iran itself has done everything possible for Moscow to change its position and support the sanctions, Aleksey Makarkin of the Center for Political Technologies, believes. Russia has “practically nothing to say against the new resolution," he told the daily. The current delay with Russia’s deliveries of S-300 systems may be of a political as well as of technical character, analysts believe. Technical problems may really exist, said Dmitry Vasilyev, chief editor of Russia’s Arms Trade with Foreign Countries magazine. “The system is expensive and complex,” he told Business FM radio. “It has been in production for a long time, with standards determined,” he noted. “However, any country wants such systems to be adjusted to its own conditions, so particular problems may arise while fulfilling specific demands of a customer,” he said. 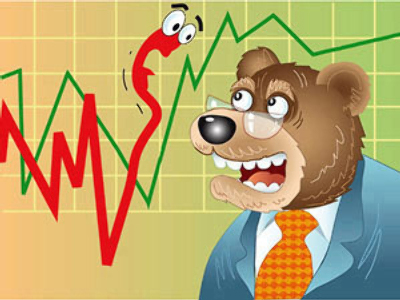 Meanwhile, many analysts believe Moscow will not be in a hurry to support sanctions. Russia “would not yield to Netanyahu’s pressure and would advise him once again to seek diplomatic ways to settle the conflict,” said Leonid Ivashov, president of the Academy of Geopolitical Problems. “Iran’s problem is not in its desire to create a nuclear bomb and put it on missiles,” Ivashov told Gazeta daily. “Iran’s problem is its security. The country is surrounded by a dense network of US military bases, and it is a target for Israel’s missiles,” he said. Sanctions should be imposed rather on Israel, which has broken international agreements on non-proliferation and “has created a mighty nuclear arsenal and now poses a threat to the whole region,” Ivashov said. As for sanctions against Iran, they are senseless, the analyst believes, because “neither Russia, nor China, nor even many countries of the European Union will observe them.” “Iran should get international guarantees of security, and then it will be possible to hold talks as equals,” he added. A new resolution against Tehran will not be effective enough, agrees Evgeny Satanovsky of the Institute of Middle East Studies. At the same time, Iran “is pushing Russia to resolute actions” by its own harsh statements, he told Gazeta. “Medvedev will be stressing the need for a diplomatic solution to the problem until the last second, because if Iran wants to create problems for Moscow it may do it in some months,” the analyst said.